1. How to create MyMap? 2. How to add Place Holder? How to add rich information to these placeholders? 3. How to draw path ways, routes using line tool? 4. How to represent an area using the shape tool? 5. 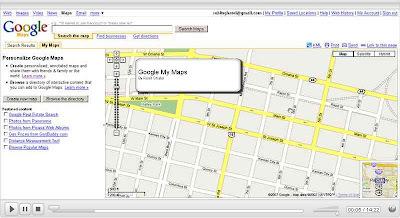 How to use the existing contents and application already available with Google Maps?